Jason had been an alcoholic for about as far back as he could remember. He’d been through detox, AA (Alcoholics Anonymous) and other recovery programs since he was 14 years old, but nothing stuck. He was living proof that all the head knowledge in the world doesn’t make a difference if your heart doesn’t change. What Jason needed was a resurrection of the heart. Jason was tired of the endless cycle – he would stop drinking, start working, begin to make real money, even start saving, but eventually, the drinking would start again, he would lose interest in work, and end up back at square one. For 31 long, long years the cycle continued. He had been down the same road so many times, he knew he needed something different. So Jason decided to try something drastic. The money he earned was what allowed him to keep drinking, so what if he spent it all? Fortunately, Jason had already looked up places he could go for help once he was homeless, just in case. So he set off for the Phoenix Rescue Mission, again in search of something that would make a difference. He found it, but didn’t recognize it at first. 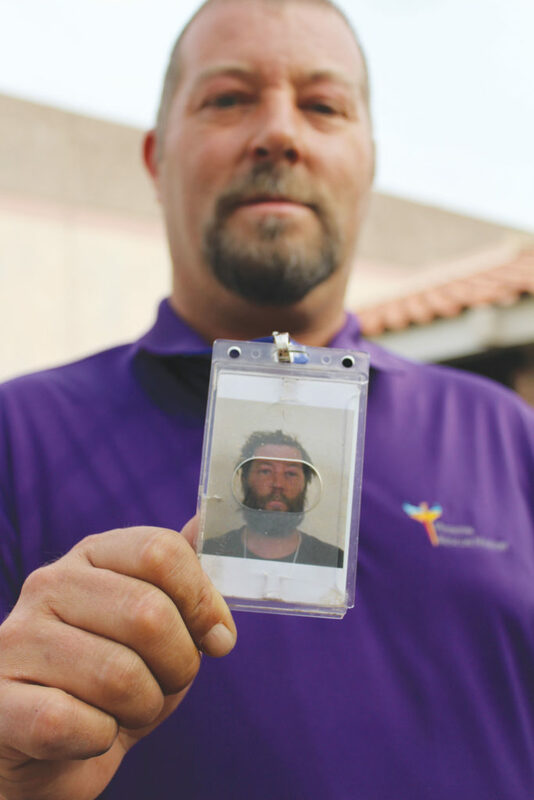 “When I signed up for the recovery program, they asked me if I wanted to hear about Jesus Christ, and the hairs stood up on the back of my neck. I said, ‘Yes,’ which was a complete and utter lie. I just wanted in.” For the next six months, Jason went through the motions, just as he had done with all the other recovery programs, and came out the other side, yet again, unchanged. “It’s easy. You can come here and completely miss the point – which is the first thing they ask you when you walk in, ‘Are you willing to hear about Jesus Christ?’ I missed it and here I was again, back at square one. Other than during class time, I never opened the Bible, never read it. But there were people here who swore by it and had the changed life to back it up. later on, the cycle he was living. James 3 pointed to the problem he had with self-control and, later, taught him to overcome it. Bit by bit, Jason started to take what he read to heart – and his heart started to change. 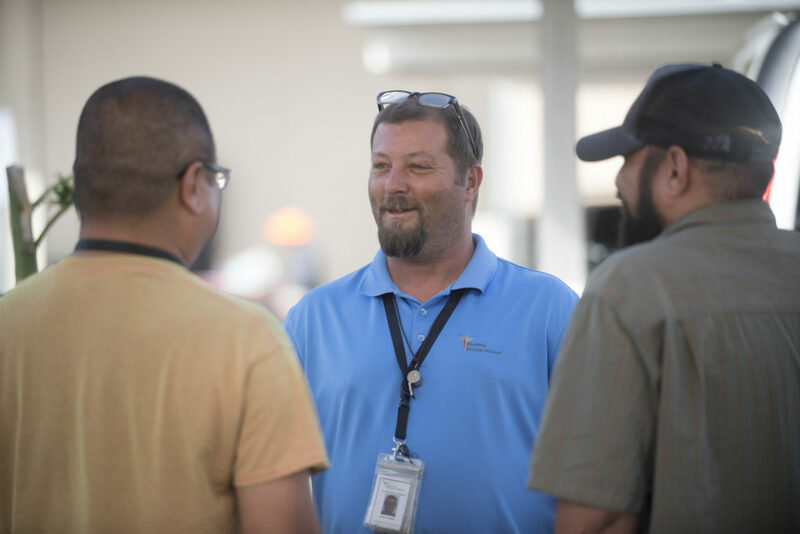 “I wanted to prove it wrong,” says Jason, “but it ended up proving me wrong.” During this process, Jason joined our Servant Leadership program and began applying what he learned to leading others. What he found was the more he emulated Jesus, the more Christ-like he became. Today Jason has that changed heart he needed to exit the cycle and move forward. 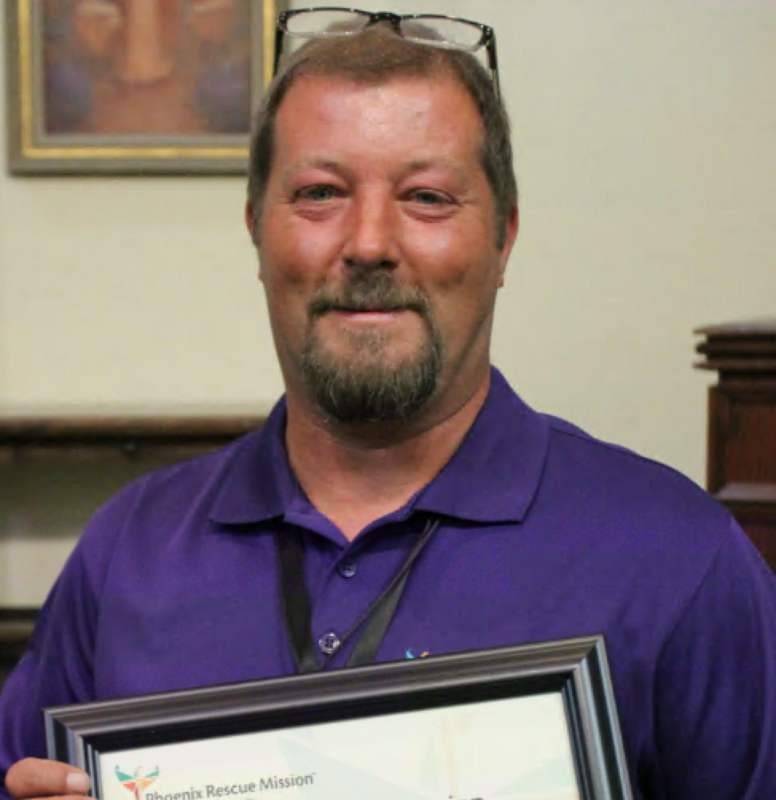 He’s sober, he’s graduated from our Servant Leadership program and has joined our full-time staff as our Work Therapy Coordinator. Jason’s story proves that the Resurrection we celebrate this Easter means more than new life – it means it is never too late to find that new beginning, that new heart that changes everything. Jason understands that now, and it’s your support that gives that same opportunity to hundreds of others all year round at the Phoenix Rescue Mission. “All my thought processes are rooted in the Bible now. That’s the best thing the Phoenix Rescue Mission could have done for me. It’s changed my life 180 degrees!” Thank you for the support that makes stories like this possible. Happy Easter!